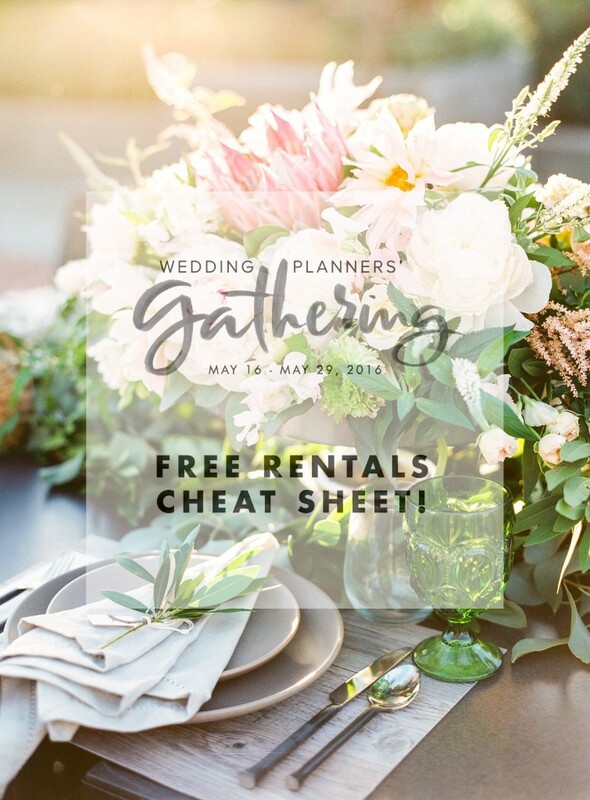 Today we're giving away a FREE event rentals cheat sheet with helpful tips on all things rentals! Event professionals, brides and grooms to be, current or aspiring planners, or any creative entrepreneur looking to learn more about the wedding industry - you won't want to miss this! Sign up to be the first to know when registration opens for The Wedding Planners' Gathering and for an early bird discount. CLICK HERE for your free copy of both the event rentals cheat sheet and a wedding planning checklist!